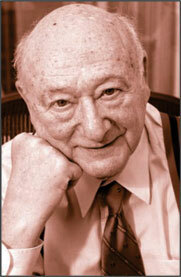 Ed Koch, Former Mayor of NYC. I was struck by an article which appeared in The New York Times on November 19th reporting on the position of the British government on the ongoing war between Israel and Hamas. Almost everyone acknowledges that the Hamas government in Gaza started the war, except for their Muslim supporters of Turkey, Egypt, Qatar, etc. Hamas and almost every Muslim country, except for Egypt and Jordan which have peace treaties with Israel, are in a formal state of war with Israel. Israel, in response to near daily rocket bombardment of towns, villages and cities in southern Israel this year, assassinated the Hamas terrorist Ahmad Jabari directing the rocket program and its launchings. The Times article reporting on the British government position stated "As the conflict has intensified, so has diplomatic pressure on Israel to restrain its military campaign. William Hague, the British foreign minister, said in a television appearance on Sunday that he and Prime Minister David Cameron 'stressed to our Israeli counterparts that a ground invasion of Gaza would lose Israel a lot of the international support and sympathy that they have in this situation,' The Associated Press reported." The British government at the U.N. rarely, if ever, supports Israel when the Assembly votes on a resolution unfairly condemning Israel for doing what all other countries would do in like situations. At best, they and many other members of the European Union will simply abstain, with some voting with the Muslim block out of fear. If the Israelis bomb the residential areas of Gaza where the terrorists live and hide and there are deaths of civilians who are used by the terrorists to hide them, the Israeli government is denounced at the U.N. Recently, a terrorist was killed living and hiding in a building which the world's reporters used for their residences while covering the war in Gaza - reporters in the building acknowledged the terrorist used them as cover. You can be sure there were nevertheless denunciations of Israel. What is Israel to do under these circumstances? It can only do what every other country would do - exercise its right of self-defense and bring the war to the enemy. Those who denounce Israel point to the fact that some 100 Palestinians have been killed and only three Israelis, the latter by rockets intended to kill innocent civilians. The Palestinians were killed when Israel was trying to kill terrorists. What did Britain do during World War II when the Nazis were blitzing London? They bombed Berlin and other German cities. The London Blitz killed more than 40,000 civilians. When the British bombed Hamburg, there were an estimated 42,600 civilians killed and 37,000 wounded. The London Blitz occurred over months. The Hamburg bombing took place in July of 1943. Did anyone cry "disproportionate?" If the people of Gaza want to stop this war and the ensuing casualties, they should oust the Hamas government. They shouldn't support that government and then ask to be protected from the effects of war while a million Israeli citizens are being subjected to rocket fire every day. I thank President Obama for standing with the Israelis and stating they have a right to defend themselves. When will the leaders of other Western countries speak out in support of Israel? Western civilization is under attack by Muslim Jihadists intending to destroy our culture, which they envy and hate for its success. Western governments should not lose sight of what is at stake in this war.